One of the keywords in Africa today is leapfrogging – that phenomenon that allows those who were behind to step ahead of those who were previously at the fore. Mobile phone networks are a classic example: most African countries have, by and large, skipped the wired era and embraced wireless. As a result, mobile phones are often used in new, ingenious way, more sophisticated than what we see in Europe or the USA. In this context, improving urban-dwellers’ access to data and social networks, and building applications on top of that, could help address some of the continent's major issues. Here are some ideas that might be relevant. Open-source software for information collection, visualization and interactive mapping can play a positive role and perhaps even trigger social change. 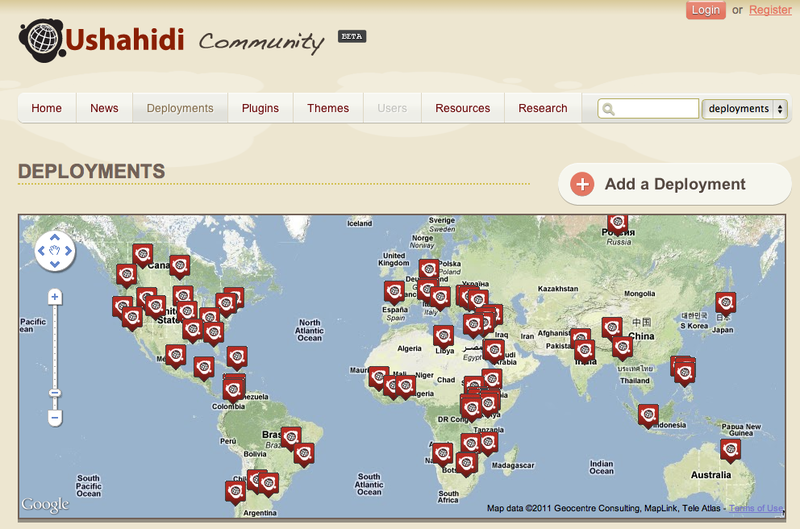 The Ushahidi project, initially developed by Juliana Rotich and her team to map reports of violence in Kenya after the post-election violence in 2008, expanded across the world and is now one of the most used platforms of its kind. A sign of how innovation developed in Africa can then conquer the world. The explosive demographic situation in many African cities has led to serious mobility issues. Take Nairobi: its roads were developed for a settlement of 350,000 people, and they are now serving over 3 million inhabitants. As a result, it has become one of the world's most congested cities. Twende Twende is a mobile phone service that was developed in IBM's research centre in the Kenyan capital. Swahili for “let’s go”, Twende Twende takes images captured by existing low-cost cameras and applies network-flow algorithms to estimate traffic flow. The solution does not require expensive road construction, but rather uses cameras already present around the city to help facilitate traffic flows. In the “innovation everywhere” world we live in, Africa cannot but benefit by the reinforcement of its start-up ecosystems. One interesting project is iHub, an open community space – part vector for investors and venture capitalists, part incubator – providing a space where young entrepreneurs can receive mentorship, internet connectivity and the possibility of funding through connections with the international venture capital community. In several parts of Africa, you can see an increasing gap between population growth and infrastructure. How can we overcome this issue? Again, leapfrogging might provide ideas. The Droneport Project could transcend geographical barriers such as mountains, lakes and unnavigable rivers without the need for large-scale physical infrastructure, delivering medical and urgent supplies to remote areas on a massive scale with an immediate life-saving impact in Africa. While the scalability of this idea is still to be verified, it is promising. One of the most radical drivers of cultural development is ... electricity. If you can bring light into the night, you will give people extra time for reading or studying, or fulfilling any personal project beyond day-lit hours. This is the motivation behind several projects. Little Sun solar-powered lamp by Olafur Eliasson is able – during its initial three-year battery life – to provide 10 times more light than a kerosene lamp and at a fraction of the cost. The iShack Project, a social enterprise, provides a pay-for-use solar electricity service to people living in slums of the South African city of Stellenbosch. Small-scale dairy farmers living in remote areas don’t have access to valuable information about their cows’ health and milk costs. Developed by a Kenyan farmer, iCow is an app that works on the type of basic mobile phones farmers own, empowering them to improve their own lives by accessing critical information. Each animal is registered with the service, which then sends SMS reminders to the farmer about milking schedules, immunization dates, and tips about nutrition and breeding or information about local vets or artificial insemination providers.